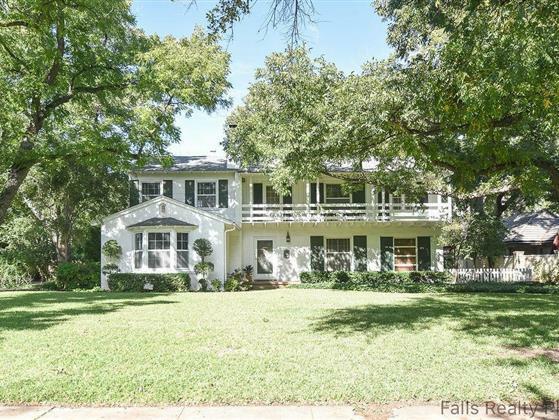 Character filled 2-story 5/3/2 home in Country Club. Gorgeous hardwoods in living,kitchen, halls & bdrms. Handsome stairway off foyer;FP & large bay window in living room. Newly remodeled & charming kitchen open to dining & living. Updated Master bath! Master w/office & 2nd bdrm downstairs; 3 generous upstairs bedrooms w/ plentiful storage. While upstairs, enjoy an evening beverage on your French Quarter Style balcony at the end of a long day! Privacy, space, expansive lawn & gardens make this a must see!